To commit a mistake, is perfectly fine, we just need to consider what we can do at present to make things right. 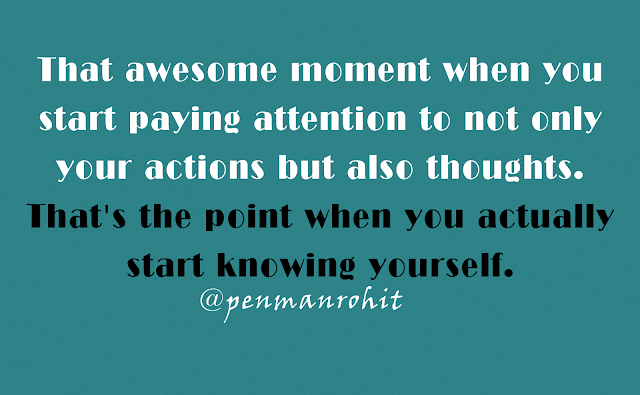 That awesome moment when you start paying attention to not only your actions but also thoughts. That's the point when you actually start knowing yourself.